A year ago at this time the Industrial Design Society of America held their annual international conference in Seattle, brilliantly organized by my friend and former colleague, Surya Vanka. His unique energy led to several innovative conference experiences, one of which he called Design Swarms. 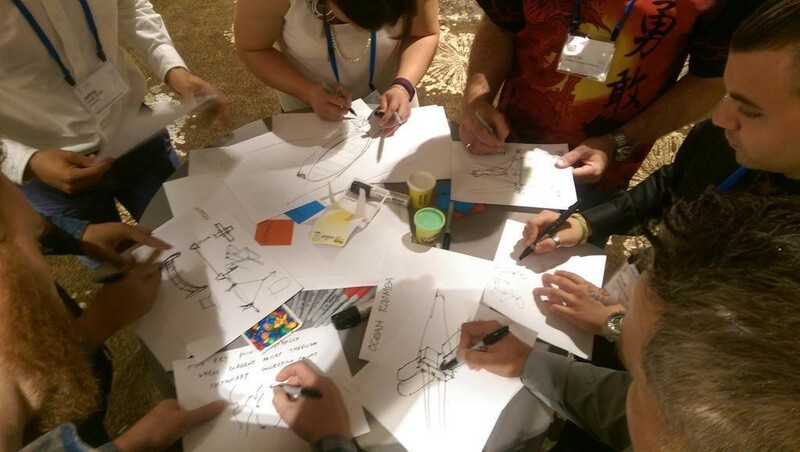 A Swarm employs a timed competition to bring out the best in collaborative design thinking, and as I wrote in advance of last year’s conference, it provides the potential for creating meaningful solutions. We are facing a plethora of exigent environmental problems. With so many brilliant creative minds congregating, I felt compelled to use the unique moment of a Design Swarm to try and create solutions that could actually bring about meaningful change. Our Design Swarm team was going to address the monumental problem of marine plastic pollution. First, Design Swarm leaders introduce their selected problem to their team, consisting of five to ten designers. Each team initially collaborates through three, thirty minute Design Swarm Sprints covering an introduction, ideation and refinement. In the fourth Sprint the team prepares a Pecha Kucha summary of the solution using 20 slides, 20 seconds each. In the fifth and final Sprint each team presents their concept in five minutes, followed by a collective vote for best solution. So, I started recruiting. By asking around the conference, leaning on other designers (including some former students), and catching any stragglers to the Design Swarm, we were able to fill our team with enough designers to participate. The ever increasing plastic debris in our oceans has not formed an island, or a patch, or anything visible from google satellites, rather it has coalesced into a polymer detritus soup in all of the major gyres around the world. 5Gyres.org, named after the largest of these currents, has been at the forefront of this research, using low tech trawls combined with high tech computer modeling software to create our first estimate of the plastic debris floating in our waters: 270,000 metric tons from 5.25 Trillion pieces of plastic. The problem desperately needs more data to determine where the material is entering our oceans, so our Design Swarm team was challenged to create citizen scientist (or actual scientist) trawls for determining where the polymer particles have the greatest concentrations. The hardest part, recruiting designers to our team, was now over. 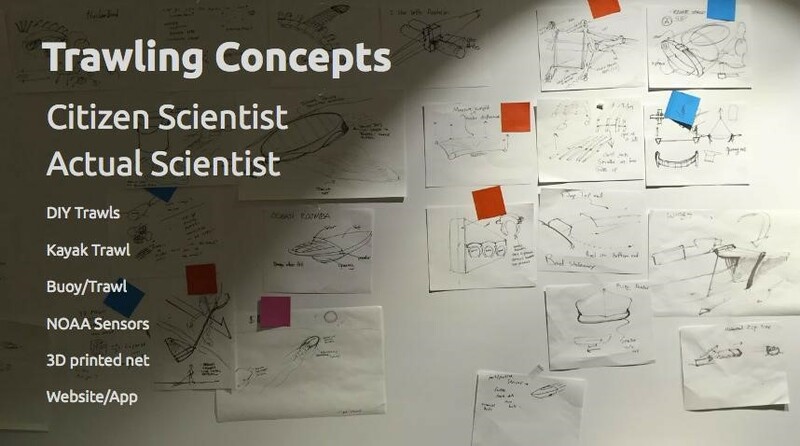 Once our engaged group was introduced to the atrocious scale of marine plastic pollution, they thrived in the Design Swarm format, creating a wide range of data collecting concepts to address the issue. We were still the smallest team, but our core group of five designers powered through each phase of the Design Swarm while several others designers popped in and out, making various contributions when they could. Our solution evolved into a system of solutions. We proposed a range of pollution testing devices for various scales and scenarios all brought together by an online platform and smartphone application designed to create community and help illustrate the problem. We felt strongly about the solutions system we called “NetWork” but fell behind due to our limited personnel. While other groups were practicing their presentations we were still frantically building our Pecha Kucha slide deck, as the last 15 seconds of Paul Hatch’s video of the event captures. Chaotically completing our slides, we presented our idea along with the other Design Swarm teams during the fifth and final phase. Swarmers were now asked to vote for any team other than their own (the first advantage of having a smaller group) with the winning team rewarded by getting to present their idea to the entire conference on the last day. “Team 6?” - I don’t actually know the Team 6 vote tally because once I realized it was less than 10, it hit me that we had won. Building off of last summer’s victory in Seattle, I launched a project called Testing Our Waters. In the fall, one of the trawls designed for makers with 3D printers (using recycled ABS we hope) was modeled in Autodesk Fusion 360. 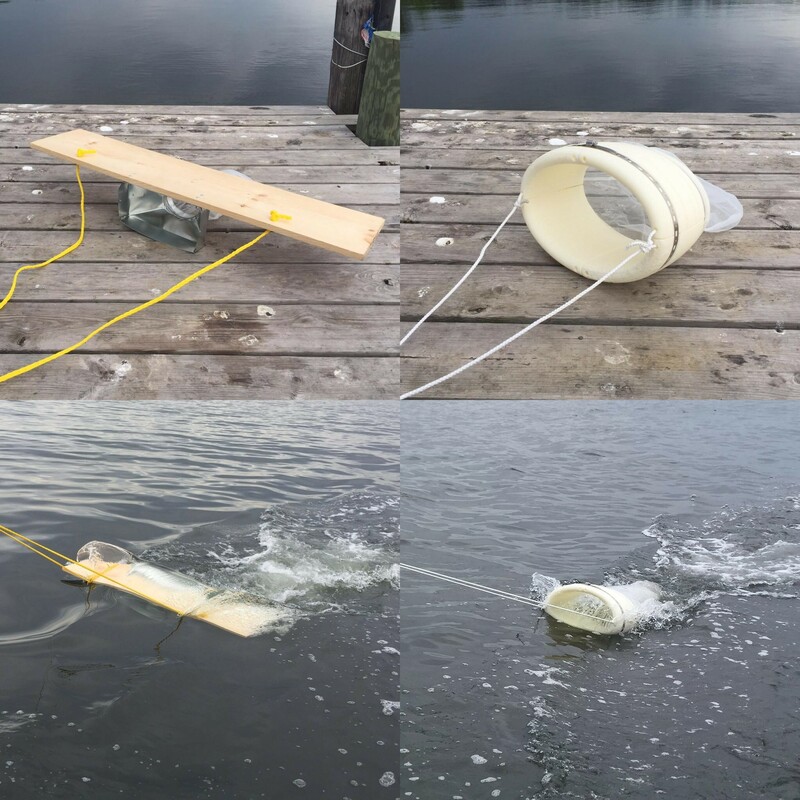 In the spring, we built a DIY trawl designed by 5Gyres co-founder Marcus Eriksen from hardware store parts for under $40. A collaboration with 5Gyres and NY/NJ Baykeeper led to our first grant from the Tishman Environment Design Center grant at The New School, enabling us to test the trawls designed earlier in the school year. Most recently a larger grant was awarded from the Autodesk Foundation to further expand the scale and scope of the project. In the spring 2017 semester we will launch a collaborative design studio to create beta versions of the smartphone application and website platform. These digital tools will be used to capture images of the pollution, create a community of engaged citizens, and promote policy change. We are currently building a small team of Testing Our Waters students that, because of our Design Swarm, are preparing for jobs which don’t yet exist. As a society we must immediately transition to a future that is at the very least sustainable, but ideally restorative - everything else will quickly become irrelevant. Our shared manufacturing future, and the jobs it will create, must support radical transparency, global collaboration, and circular economies. The urgency with which we must make this transition cannot be understated. New careers, new skills, new aptitudes, and new attitudes will be essential. Students today are inheriting problems they did not create, but they also have access to incredible tools, that when applied toward these same problems, can indeed be solved. We hope to prove that by harnessing the massive amounts of synergistic brain power found in a Design Swarm, then building on that momentum by shepherding the solutions into reality, it is possible to create real world change. Follow our progress at TestingOurWaters.net and @TestOurWaters.